My name is Paul Dobree - Carey. I used to work in the corporate world but I just couldn't play the roles that were expected of me and always ended up doing my own thing. I wanted to find my passion and I tried so many different things but nothing seemed to fit. After reaching 40, I took a trip which resulted in a completely unexpected Life changing experience. Going through my own Awakening Process has brought to me some amazing insights and practical methods as to dealing with the multiple changes in life style, rigid belief systems and personal mental and emotional conditioning. It is truly remarkable how little we actually know of the world until we awaken and really start to live the life that we always wanted to have. ​Having experienced much of the diversity that Life has presented, I have a strong belief in practical experience and have spent many years dealing with and studying what does and doesn't work on a daily basis. And yes, why does an Englishman who never previously did Yoga, meditation or ever had any form of Spiritual Experience suddenly become spiritually awakened and how has that impacted my life in every way? In 2009, Paul Dobree-Carey experienced an unexpected but profound enlightening ‘tuning in’ process involving the opening of the Third eye whilst in North Africa. The rapid expansion of 'Intuitive Awareness' resulted in a full Kundalini Awakening on 14 June 2009 at 3.33pm. Within a few days of going through complete physical, mental and emotional trauma, the total integration with a Higher Self aspect known as a 'Walk-In', took place on 18 June 2009 introducing me to the illuminated wisdom and expansive energies of my higher Soul Aspect, Polaris AB. ​Since that time, I began to receive direct communications in the form of Language of Light Sacred Geometry and cosmic spiritual knowledge. "Kundalini is part of the natural energetic Human existence as a result of a clear and fully functioning chakra system. Invoking and raising the Kundalini energy as a sudden awakening is a life changing experience in every way possible. Nothing remains untouched or unchanged as a result of the liquid fire (prana) overwhelming every nerve, every cell and the entire mental emotion spiritual belief system that once was thought of as reality. Raising Kundalini is a One Way journey and with any journey, needs provision, preparation and planning. As Pingala and Ida merge along the Sushumna to join Shakti and Shiva in Holy Union, a conscious evolution takes place to awaken the Soul within a human body". This has brought forth an amazing wealth of information regarding the true Nature of Spirit, dimensions, energy fields, evolution and the creation / manifesting process together with amusing and curious conversations with planetary beings, crystal beings and Keepers of the Records of the Akash, Library of Sophia and the Halls of Amenti. Among the channellings received are communications from Metatron, Thoth, Maha Chohan, the Elohim and the Great White Brotherhood (which is a collective of higher beings of Light, nothing to do with race or gender) as the aspect of Polaris, the Guiding Light known as the North Star. From a corporate financial business background, the Kundalini Awakening / Walk-In changed everything in my life. Overnight, I stopped smoking, eating meat, drinking and watching television and through inner guidance and a series of remarkable synchronicities resulted in a complete lifestyle change involving divorce, ceasing long term employment and selling my house I had been working from and living in for twenty five years. Within a short period, nothing remained of my former life. 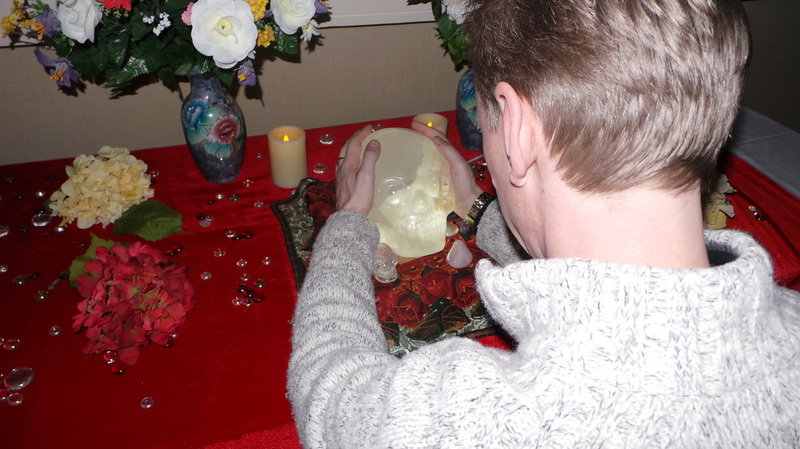 spending the 12/12/12 with Max, the Crystal Skull, visiting a crystal mountain in Little Rock, Arkansas, USA whilst attending the Earthkeeper conference, in preparation for the Cosmic Moment of 21/12/2012. co-founding of the Shine Discussion Forum designed to provide a panel of Ascension Guides to answer questions about the changes taking place. 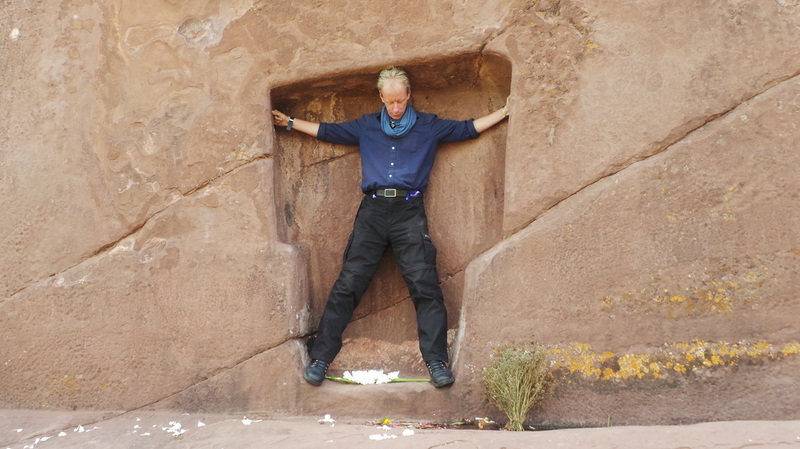 In 2014, I took an extensive journey across the continent of South America from the Western coast of Ecuador and the Galapagos Islands, along the Incan trail through Machu Pichu to Puno and back again, receiving Shamanic ceremonies and journeys with Incan Shaman on mountain tops and the islands and shores of Lake Titicaca, integrating with the Lemurian 'Gateway of the Gods' at Puerta de Hayu Marca, through the salt lakes of Bolivia, the dry deserts of the Chilean Atacama, visiting and flying over the mysterious lines of Nazca, the jungles and waterfalls of Argentina, the ports of Uruguay, the beaches and Favelas of Brazil. This entire journey allowed higher frequency integration and merger with the Crysto Sun Discs of Arkansas and Titicaca to understand the Patterns of Behaviour of Divine Evolution and Creation of Civilizations across the galaxy. And of course, my own personal hobby of Stone Balancing at all the places I visited along the way. In 2015 / 2016, I travelled across the United States and provided public talks and workshops, Living in the Fifth Dimension, based on previous spiritual experiences, practical knowledge and lessons learnt during my own spiritual journey. I also offered Stone Balancing demonstration's and classes which took place in Oak Island in North Carolina, within the Cherokee Mountains and Colorado Springs, CO. In 2018, I travelled to the Far East to concentrate and further develop my inner spiritual work through meditation and Yoga. The peace and tranquility of living in a jungle environment allows focused awareness directly with nature and the elemental forces that govern it. Immersing into nature at its heart brings clarity and insight to conditioned patterns of human behaviour and the means to move through every situation that occurs in life. ​Polaris AB works consistently with developing Awareness of the energies of the Language of Light to understand and integrate its purposeful flow from the Conscious Divine Mind of Source, throughout the Cosmos, to other Planetary Species and the grounded aspects of HUman Physical Form known as Star Seeds, Walk-Ins, Blue Rays, Indigo's, Crystals and Walking Masters of Light. ​This is presenting in the form of a higher philosophy of existence, non attachment to lower aspects of collective consciousness, re-learning the true nature of Earth's 'historic record' from the cosmic Akashic viewpoint in opposition to the written history taught as current understanding. 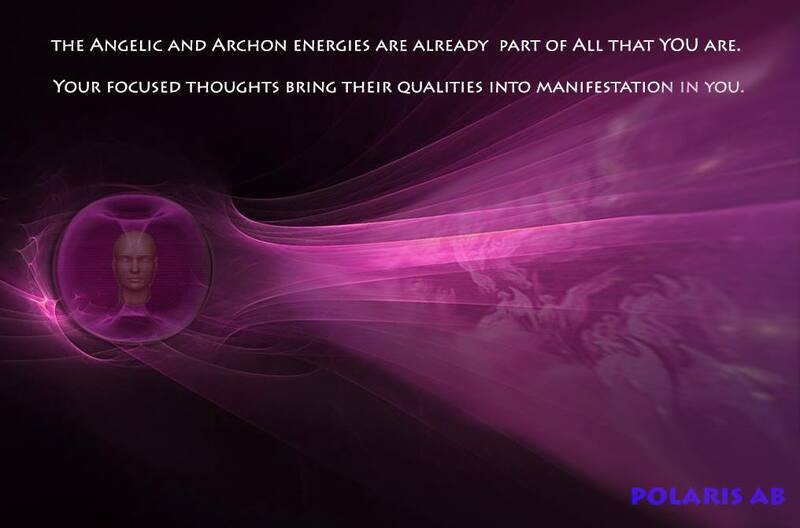 As a Cosmic Ascension Architect and Intuitive Guide, Paul is dedicated to the development and merger of the Fifth Dimensional Divine Self with all those choosing to take their path of enlightenment towards achieving Ascension. Polaris AB is the name officially assigned to a Blue Dwarf star located close to the brighter and better known Polaris, currently the North Star. My own StarSeeded origin derives from the Carian Bird Tribes of Sirius known as that of I AM RA, Keeper of the Law of One, studied and practised on the Isle of Poseida in Atlantis. On the 18th June 2009, four days after a full Kundalini Awakening, in my newly aware capacity as a grounded operative of the Blue Ray vibration, a Soul Aspect merger took place with the energised StarLight of Polaris AB seeking incarnation to assist Gaia’s Ascension process. The descended embodiment of Polaris AB connected me directly with higher spiritual communication and works directly with energising and ionising the Blue Ray to its higher aspect frequency, Silver Violet flame. This flame is used for transmuting energy densities within the collective consciousness, transforming emotional and negative imprints within third density earth's electro-magnetic grid via Sacred Sites, grounding higher cosmic and Central Sun energies into the Crystalline matrix. The Silver Violet flame is also energetically used within the Crysto Sun Discs which hold divine blue prints of all emerging civilisations and collective social memory complexes. Polaris AB holds the combined transmuting frequencies of the silver-violet flame which manifests the angelic energies of Zadkiel and the alchemical and algorithmic transformative energies of St Germaine. Brother of the Temple of the Seven Rays, G.W.B. 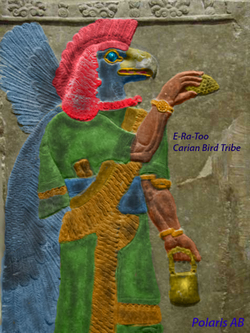 E-Ra-To, a Fifth Dimensional Carian Bird Tribe mind communicator from Sirius (with a great sense of humour) who assists with presenting the information in an understandable format (from delta to theta wave frequency). This image of RA as created by Vashta Narada is similar in appearance to E-Ra-To as they share the same family origins within the Carian species. ​RA is a collective consciousness taking individual form when purpose requires. My original Guide, White Willow, who safely guided me through the early years to help me obtain my first house at Age 20 which gave me access to 13 Sacred White Willow trees in the woods behind the property and to help me finally purchase the house at Age 40 before embarking on my amazing Spiritual Journey. Two titles were given, firstly to my Self named as Dhruva Nakshatra Das - ஹ்ருவஅஸ். ​The resonances of crystal Moldavite work directly with the signature vibrations of StarSeeds attuning neural pathways to recognize patterns of vibrations (forms) existing externally of Gaia's collective consciousness. Walk-ins represent Soul Aspects from other dimensions, who 'awaken' in the body of a person here on earth. In all cases, there has been a Soul contract agreed between the arriving Soul and the originating Soul that has occupied the body since birth. Walk-ins use this method to enter the earth plane at a point when their specific mission requires it start soon after they arrive. Their mission necessitates they skip the birth and adolescent stages to transform directly into an adult body. Yet this is not always the case as some walk-ins, can arrive within a much younger body, however proves an exception rather than the rule. When a child walk-in occurs, it is because the soul coming in, needs experiences of childhood and adolescence to form a foundation for their specific mission. So childhood and adolescent walk-ins, usually don’t awaken the consciousness until they reach adulthood. Walk-ins, actually retain a far bigger, more challenging role on earth because they've spent most of their incarnation on another plane of existence and then come to earth in the middle to later parts of an incarnation. They may find living in these times an extremely difficult and 'alien' prospect.